All December Adoptions $25 ! This season, bring joy to your world. Adopt a pet from Outreach to Pets In Need for just twenty five dollars! We think everyone should go home for the holidays, so we've reduced adoption fees throughout December! 09/21/2014 Adopt-a-Dog's 27th Puttin’ On The Dog! 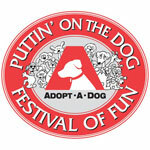 What: Roger Sherman Baldwin Park will host this popular day of fun, music, competitions, demonstrations and activities for dogs, their families and pet lovers. OPIN will be exhibiting and showing dogs, and we can use some volunteer help with those things as well as with setup and breakdown. Please stop by and say hello!